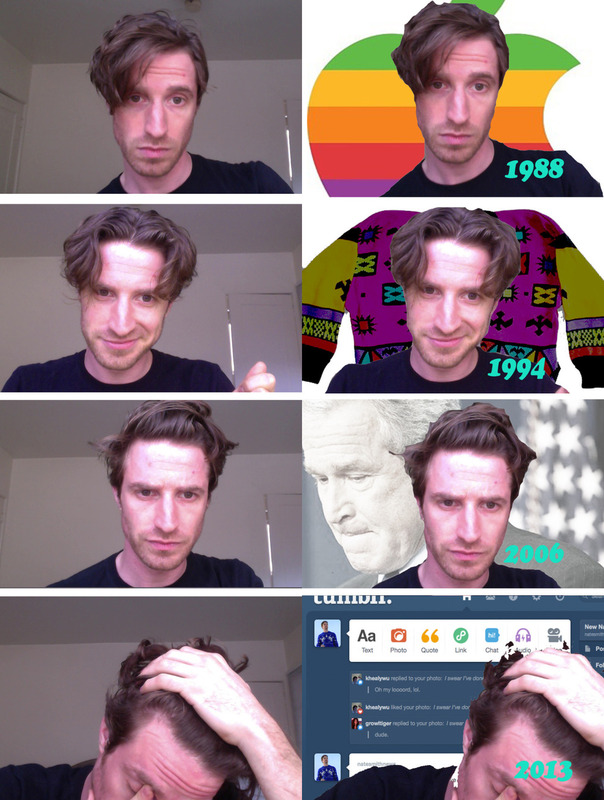 The hairstyles of my lifetime. All taken in one day. Complete with forehead pimple.